This ticket gives you access to all 3 days of Secret Solstice 2019 from 21st - 23rd June 2019. Everything you need to enjoy the summer solstice We want to make it easier for families of all ages to get involved in the festival experience together. New for 2019 we have added family friendly passes to make sure your Secret Solstice 2019 is a family fun experience. Be a member Óðinn and join the ultimate festival experience. Our limited Óðinn passes will take you on a festival journey like no other, like a true VIP. From complimentary food to dedicated service and Óðinn only access, our members receive extra special treatment and amenities. From the moment you join our exclusive Óðinn pass and arrive at the gates of our midnight sun festival, you will have the most amazing bucket-list worthy festival experience with Secret Solstice 2019. ENTER THE CRYSTAL ICE CAVES Within the breathtaking surroundings of Langjökull, Iceland’s second largest glacier, we present the world’s only party inside a glacier. Enter 500+ metres of paths carved through layers of beautiful blue glacial ice over 10,000 years old. Venture beneath the glacier’s surface into the ice chamber and experience the music. The sounds of the natural acoustics within the crystal caves and the stunning formation of the ice tunnels. A MAGICAL EXPERIENCE IN A 5200 YEAR OLD MAGMA TUBE Trace the steps of a volcanic eruption and walk along paths that once flowed with lava. Travel underground to witness the natural formations inside the Lava Tunnel to an intimate gig hosted in the rare beauty of Raufarhólshellir. Featuring specially curated Icelandic artists whose sound illuminates the lava walls. The Lava Tunnel experience heightens your musical senses to leave you with a deeper understanding of the beauty of the natural structure. Hlemmur Square is set in a 1930s art deco building on Laugavegur, Reykjavík's main shopping street. The hostel rooms are located on the 3rd & 4th floors with customer made beds and noise free, each guest has a large locker and black out curtains as well as access to fully stocked kitchen, a lounge and a playroom. Opened in August we are the first sausage restaurant in Reykjavik providing an exciting alternative to the traditional Icelandic pylsa as well as other alternatives. The bar hosts a daily happy hour as well as a diverse menu of over 60 craft beers and cocktails from an award winning mixologist with live music every week. Hlemmur Bus Station is right across the street. Kex Hostel is located in the centre of Reykjavik, with a view across the sea to Mt. Esja across the bay. The old factory building that houses Kex is also home to The Reykjavík Dance Atelier and studios of various artists, film makers, and fashion designers. It is within an easy walking distance to the city´s interesting nightlife, restaurants, shops, cultural attractions, and other points of interest in the city centre. To reach those places a little further afield, the hostel is well connected to the city's public bus system. The dormitory rooms are bright and spacious with comfortable bunks, locker, seating area and a wardrobe. Showers and toilets are situated nearby each dorm. Some rooms have a private bathroom with shower. 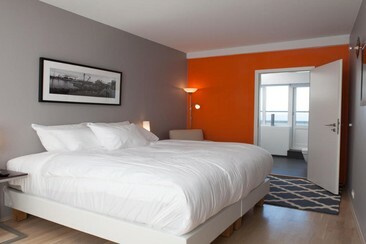 Reykjavik City Hostel is beside the geothermal heated Laugardalslaug Swimming Pool. It provides 3 communal kitchens and free private parking, just 2.2 miles from Reykjavík city centre. Car and bicycle rentals are possible. 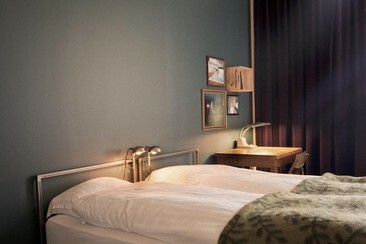 At Reykjavík City Hostel, guests can choose accommodation with either private or shared bathrooms. Free Wi-Fi is available in common areas. For entertainment, there is a TV lounge, games room and library. The guest kitchens have full cooking facilities. City Hostel Reykjavík's breakfast buffet includes organic options. Fairtrade coffee is available in CaféBar. Guests can barbecue on the terrace all year round. Staff can arrange horse riding and whale watching activities, including a free pick-up service. Discount vouchers for the neighbouring 50 yards outdoor pool, children’s pool and hot tubs are offered at reception. Bus Hostel is a 10 minute walk from the city centre of Reykjavik. The hostel welcomes all kinds of travellers and has a great social atmosphere. The hostel bar is the ideal place to mingle with other travellers and chat with the staff who know all of the best places to go in Reykjavik- not to mention knowing where to find the best bargains in town! The lounge has board games, a record player and a selection of vinyl records for guests to listen too and enjoy. The hostel is eco-friendly and aims to be completely "green" by only using fair trade goods. The reception is 24 hours during high season and there is free WiFi available for all guests. 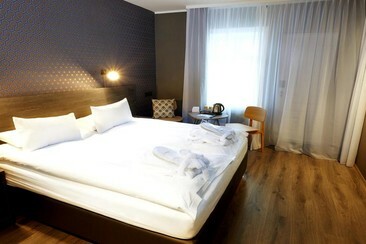 Alda Hotel is located on Laugavegur shopping street in the centre of Iceland's vibrant capital city, Reykjavik. The hotel has Nordic design features with plenty of space for guests to relax. There is a lobby bar, a 24-hour snack station and also a chilled out lounge area for you to meet and mingle with other guests at the hotel. Make the most of your time in Iceland and beat transport hassles by booking your airport transfer before you arrive! Flybus is an easy and comfy transfer option from Keflavík Airport to the BSI bus terminal in Reykjavik. Flybus departures from Keflavík Airport are all timed to connect with arriving flights, meaning there's always a bus for you to board - no matter what time you land. The Flybus departs from Keflavík Airport 35-40 minutes after each flight lands, and buses are located right outside the terminal building. This exclusive 8-day package will include everything from your day tours, exclusive parties, your festival ticket and accommodation. Showcasing the locations, culture and lifestyle in the day and at night watch the country come alive, sound tracked by Secret Solstice every step of the way. Experience includes: Ho(s)tel Accommodation (Dorm or Private) at JL House. 3 Days Festival Ticket (21/22/23) Blue Lagoon Ticket Day Trip to Black Sands Day Trip to Accommodation Golden Circle Beats Travel Party. Package Exclusions and Additional Payments: Visa requirements Travel insurance Any expenses not listed in inclusions.